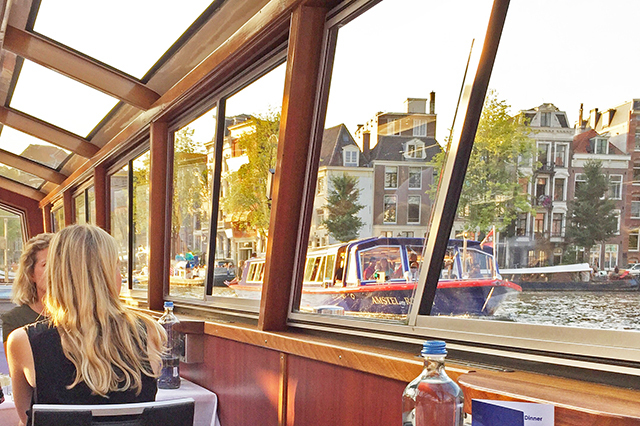 Sit back and enjoy the beautiful canals of Amsterdam while we serve you a delicious BBQ meal. 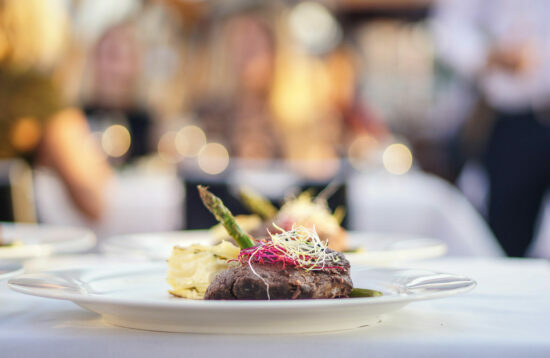 Blue Boat Company offers this option with the BBQ Dinner Cruise for groups. 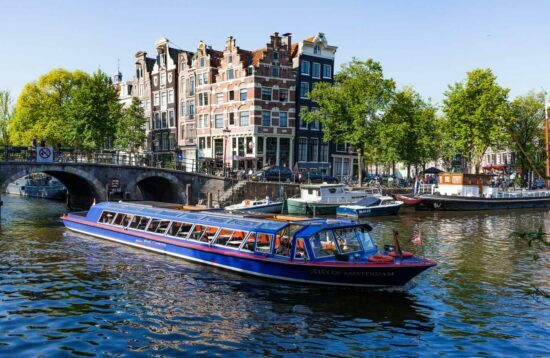 Our luxurious private boats are ready to take you on a tour of our wonderful capital. 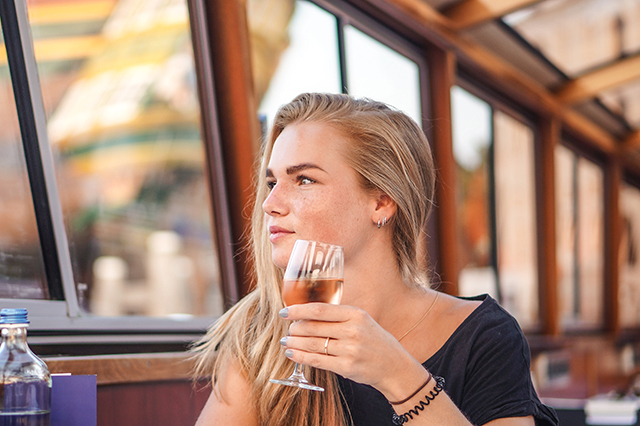 The boat will be reserved especially for your group, so you can decide what time your cruise starts, how long it lasts and even where it starts and ends. 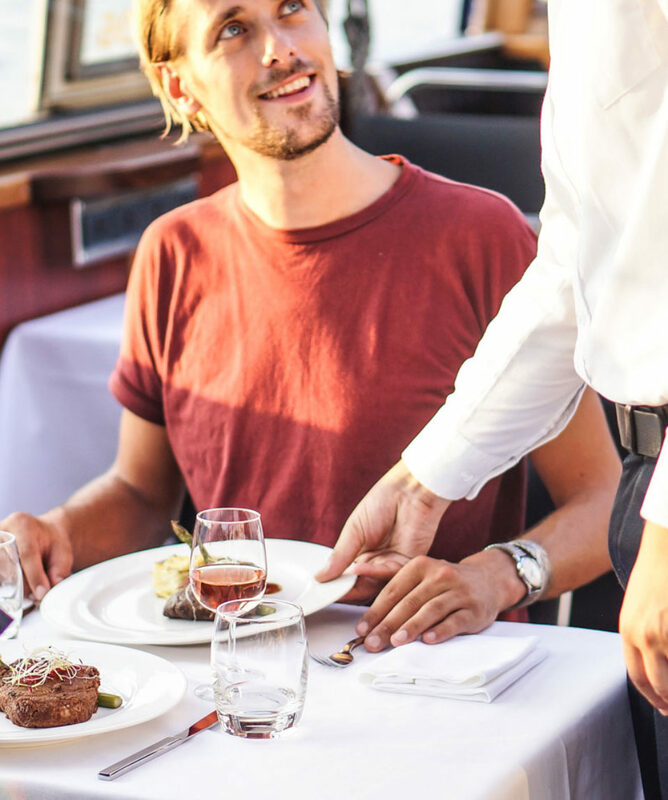 All our dinner cruise packages include food and drinks (Heineken beer, house wines, soft drinks, coffee & tea). Want to end the evening on a sweet note? Check out our Dessert range here! We charge this cruise for at least 25 persons. 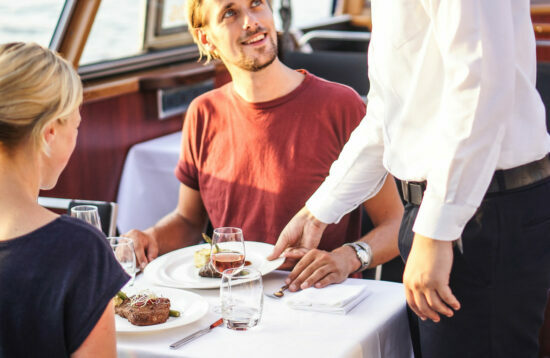 If you want to take this cruise with a group smaller then 25 persons, that is ofcourse also possible – however we will charge for the minimum of 25. 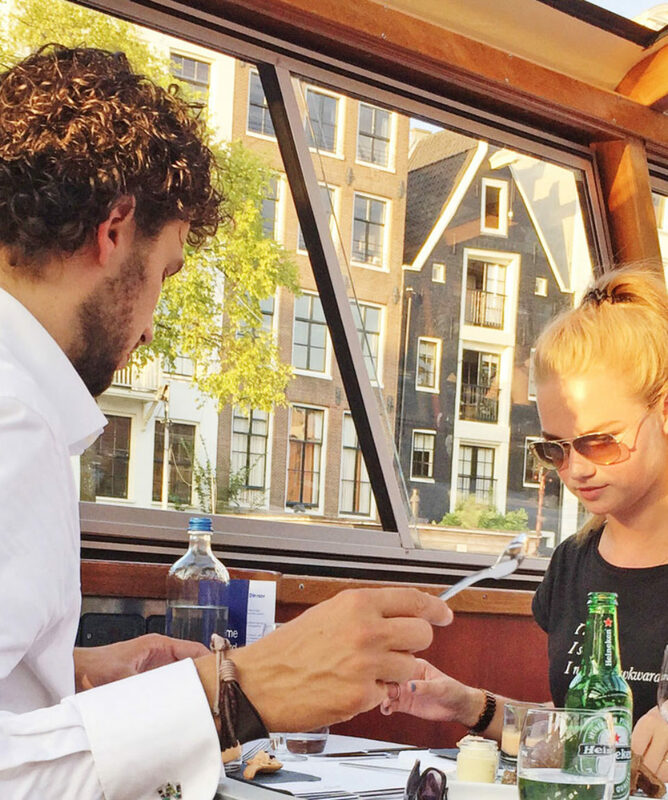 This BBQ Cruise can also be booked as a Lunch Cruise! 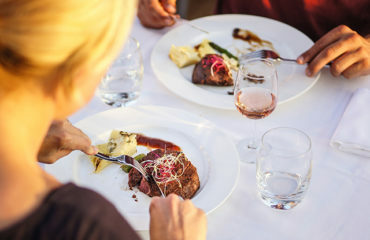 Are you vegetarian or do you have any other dietary requests? We can customise any menu – just let us know at least 48 hours before your cruise. 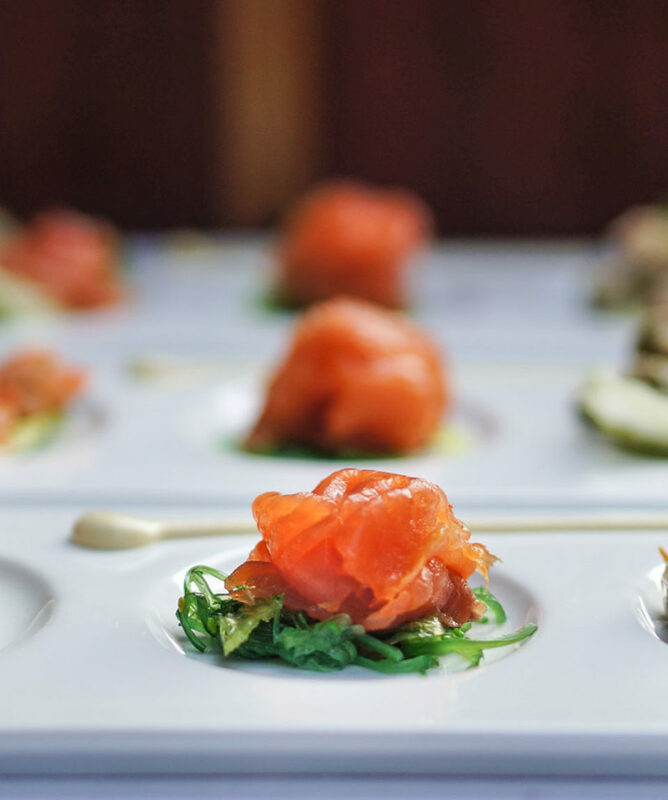 This menu is € 70,00 per personFor groups 35 persons & over, the price for this package is € 65,- p.p. Where does this cruise start (and/or end)?Can we book this cruise for a group smaller than 25 persons?Can I make an optional reservation? Where does this cruise start (and/or end)? Can we book this cruise for a group smaller than 25 persons? Can I make an optional reservation? With private cruises, that is totally up to you! 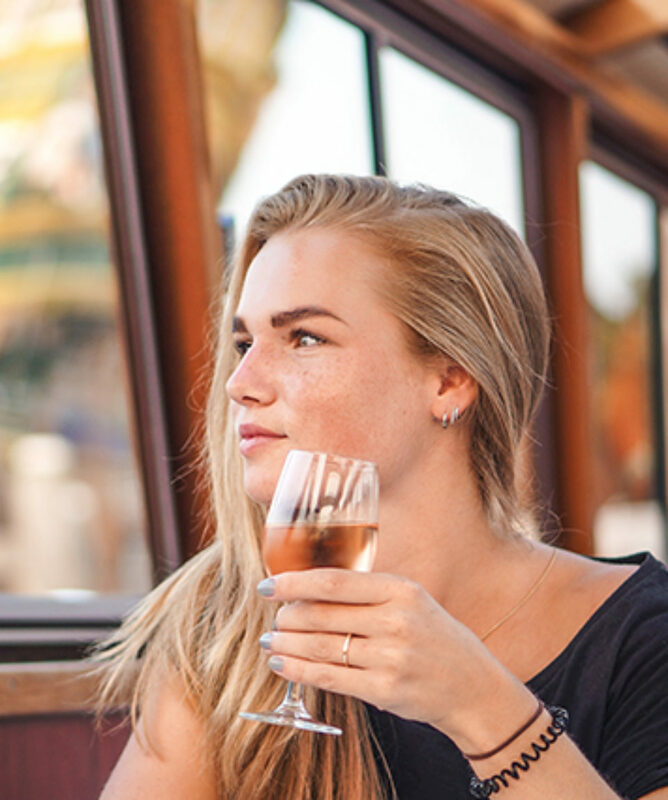 Within 30 minutes sailing time of our dock (which is almost the whole of the city centeR) we will pick you up and drop you off at no extra charges. All we need is a suitable place to dock the boat. 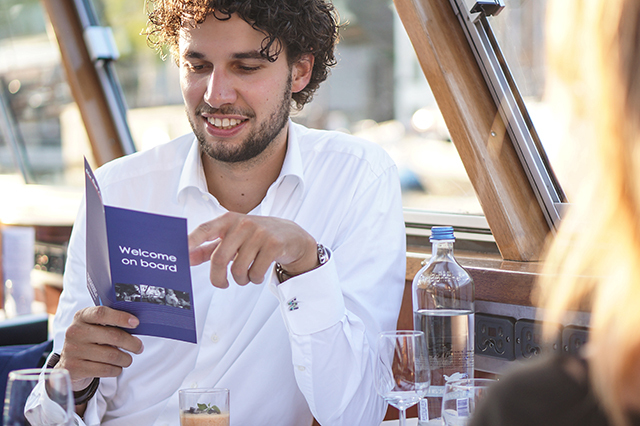 Our reservations team can tell you exactly where these are – but with over a 100 docks within Amsterdam, they are never far away! You can book this cruise for any number of persons. However, we charge you for at least 25 persons, even if less show up. Of course we will have enough food for 25 persons on board! this cruise for any number of persons. However, we charge you for at least 25 persons, even if less show up. ge you for at least 25 persons, even if less show up. Of course! Our reservations team can make an optional booking for you. This is totally obligation free and will keep the boat reserved for you for 2 a maximum of two weeks. So plenty of time to get everything organized before you book!